A year ago, Aloe Blacc was a US soul singer struggling to make an impact here as a solo artist and who was formerly one-half of hip-hoppers Emanon. 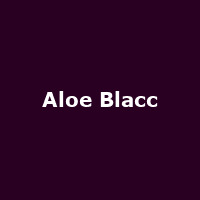 A couple of singles and a few captivating live performances later, Aloe Blacc is the Californian crooner with the fly moves and sweet soul voice we can't get enough of. Before he knew it, his song 'I Need a Dollar' had become one of the soundtracks of the summer and he had very gradually become an overnight success. The single was a Europe-wide top ten hit, peaking at No 2 in the UK and is still a mainstay of radio rotations everywhere. From slots supporting Lootpack and touring with Emanon, Blacc soon found himself stood before tens of thousands of people, hearing his biggest hit sung back to him by the sun-blistered trench-footed armies of Glastonbury. With his second LP 'Good Things' (his first full-length UK release) reaching the top ten and his magical summer of 2011 well underway, Blacc has announced some UK dates for December 2011. After playing the Big Chill 2011 at Eastnor Castle on 5th August, Aloe Blacc will be returning with a short December tour starting at the Birmingham HMV Institute on 3rd, followed by gigs in Leeds, Nottingham, Manchester, Newcastle, Sheffield, Liverpool, Glasgow, Bristol, London (Hammersmith Apollo) and Brighton. We will have tickets for the December shows from 9AM on Friday 15th July, priced £15.50 (£22.50 for London). We also have tickets available for the Big Chill, starting at £75 for a day pass.